Gotham Chamber Opera will co-produce the final production of the 2014/2015 season, The Tempest Songbook, with The Martha Graham Dance Company. Gotham Chamber Opera is one of the most renowned small opera companies. They produce full productions of more intimate settings to critical acclaim. The Tempest Songbook is comprised of incidental music for The Tempest composed in 1695 and attributed to Henry Purcell and Kaija Saariaho’s 2004 Tempest Songbook for soprano, baritone and period instrument ensemble, in its U.S. and World Stage Premieres. 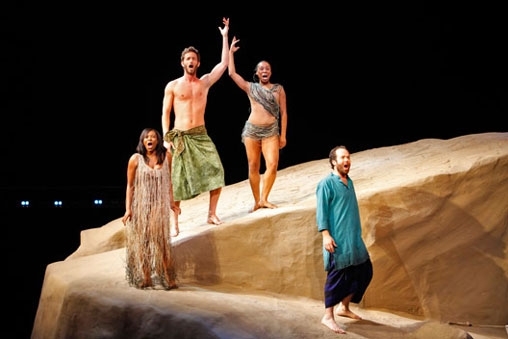 The Tempest Songbook will be performed in The Grace Rainey Rogers Auditorium at The Metropolitan Museum of Art, with three performances from March 27 – 29, 2015. A museum isn’t the first place most companies would think of to stage an opera production, but in recent years, Gotham Chamber Opera has been recognized as a pioneer in creating opera productions in alternative venues, beginning in 2010 with its production of Haydn’s Il mondo della luna at the Hayden Planetarium. The production at the Met will explore the themes of William Shakespeare’s The Tempest through dance, movement and song. The singers and dancers will express the words and actions of various characters, resulting in a lyrical vision of Shakespeare’s play. The production is also notable for the video creation of celebrated multimedia artist Jean-Baptiste Barrière.